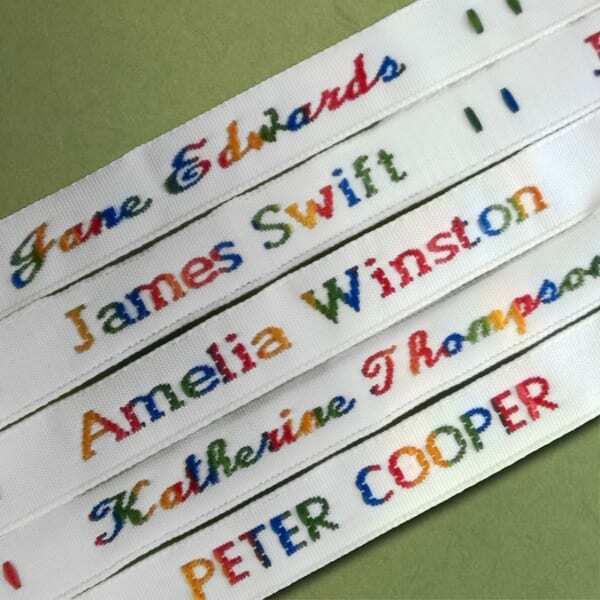 Our newest addition to our woven fabric labels, are these colourful rainbow clothing tags. 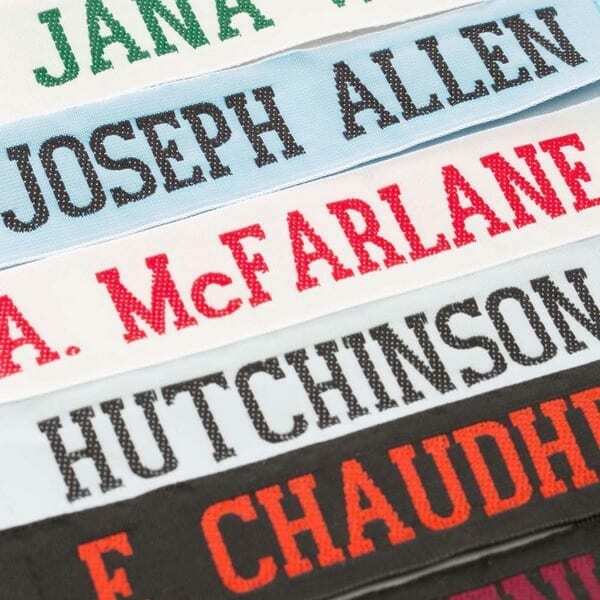 Personalised name tags for kids are essential for naming all of their clothing items. From nursery clothing to school uniforms make sure everything is clearly named to help ensure items do not end up in the lost property basket. Replacing items it not only costly but also time consuming. Rainbow woven fabric labels measure 8 mm deep. The name tape will long as name with a little extra either side. 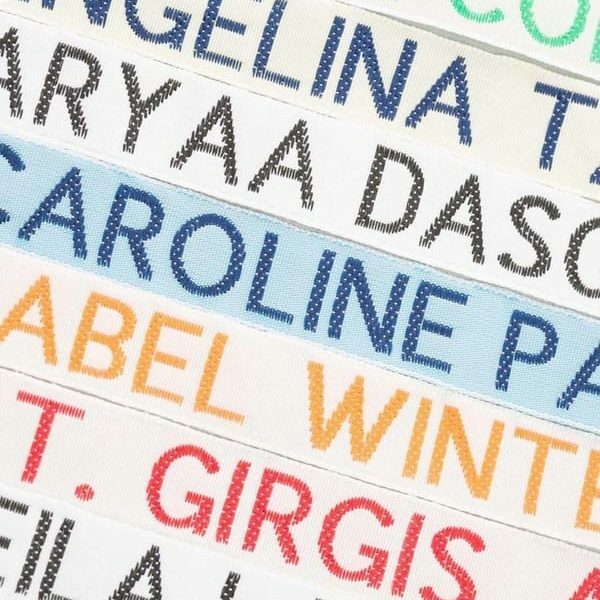 Your chosen name will be woven onto the white name tag in colourful rainbow colours. Maximum of 30 characters including spaces. These clothing tags are non fraying and can be sewn in by hand or by sewing machine. 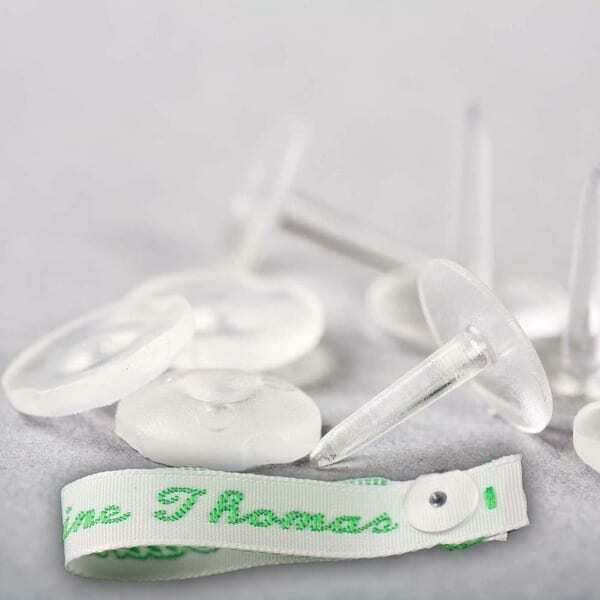 Or why not try our Sew in Name Label Fasteners. 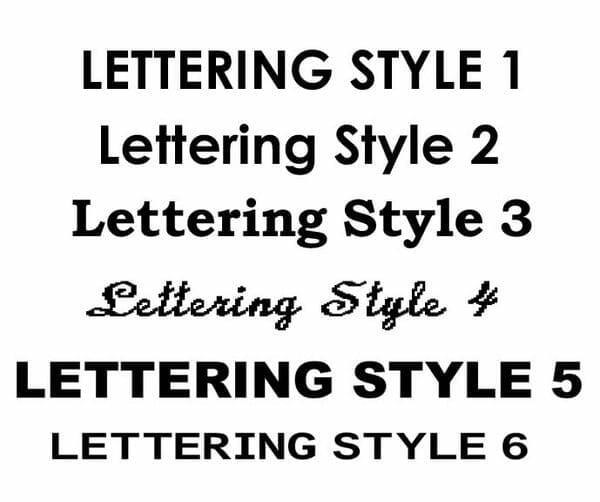 Available in a choice of lettering style and pack sizes. Order name tags online today.